Theaters are rich sources for paranormal phenomena. Before you venture into a theater to start hunting, it’s important to know a bit about theater traditions, superstitions, and folklore. L’Aura Hladik, author of Ghosthunting New York City, shares with us one of ten theater superstitions. Never say “Macbeth” in a theater. It’s traditional to avoid uttering the word “Macbeth” inside a theater. Actors, stagehands, and theater patrons refer to the play as “that Scottish play,” and they call its leading-lady character “Lady M.” If one does say “Macbeth” inside a theater, he must promptly exit the theater, spin three times counterclockwise, spit, swear, and then knock on the theater door and ask to be let back in. If that “undoing” ritual is not conducted, the curse of Macbeth will bring bad luck, leading to accidents on set and catastrophes in the lives of the performers and staff. Granted, Macbeth has more swordfights than most other plays, which in itself increases the chance of accidents. However, there are many stories of theater personnel thinking the superstition was silly and subsequently suffering the consequences with minor accidents and bad luck. There are various theories about the Macbeth curse. Some say that the lines Shakespeare wrote for the three witches are actual incantations, and that therefore each performance of the play casts forth spells and curses. Others believe Macbeth is cursed because, being a crowd-pleasing production, theater owners would stage it as a last-ditch effort to save a struggling theater. Sadly, within weeks of the play’s performance, the troubled theater would be out of business anyway; thus The Tragedy of Macbeth became a “kiss of death” production. In her book Ghosthunting New York City, L’Aura Hladik visits more than 30 legendary haunted places, all of which are open to the public—so you can test your own ghosthunting skills, if you dare. About the author: L’Aura Hladik Hoffman is the author of Ghosthunting New Jersey and Ghosthunting New York City. 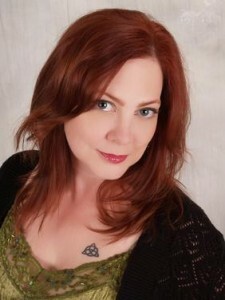 She is also the Founder and Director of the New Jersey Ghost Hunters Society. 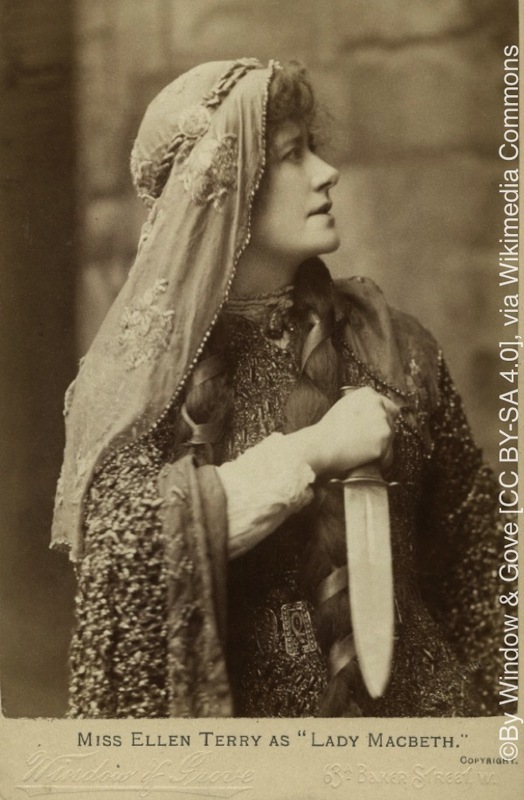 Photograph of Ellen Terry as Lady Macbeth, based on an 1888 production, Folger Shakespeare Library Digital Image Collection.